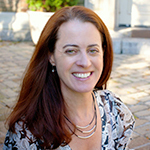 Tiffany P. Hogan is Director of the Speech and Language (SAiL) Literacy Lab and Professor in the Department of Communication Sciences and Disorders at MGH Institute. Dr. Hogan joined the Institute in July 2013. 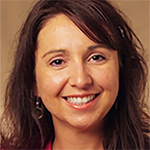 Prior to joining the Institute, she was an Associate Professor and director of the Link N Literacy Lab at the University of Nebraska-Lincoln. 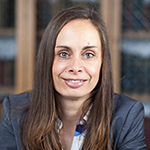 She began her career as an Assistant Professor at the University of Arizona, after graduating from the Department of Speech-Language-Hearing: Sciences and Disorders at the University of Kansas. Dr. Hogan studies the genetic, neurologic, and behavioral links between oral and written language development, with a focus on co-morbid speech, language and literacy disorders. See Dr. Hogan’s CV for funded research grants. Dr. Hogan provides doctoral research training for students in the Ph.D. in Rehabilitation Sciences program at the Institute. Her research is funded by the National Institutes of Health’s National Institute on Deafness and Other Communication Disorders and the Department of Education’s Institute of Education Sciences.